My girlfriend and I have been watching FX’s new horror-drama American Horror Story for the last few weeks (we agree that it’s OK, and any shortcomings are made up for by the presence of Mrs. Coach Taylor and Ruth Fisher). 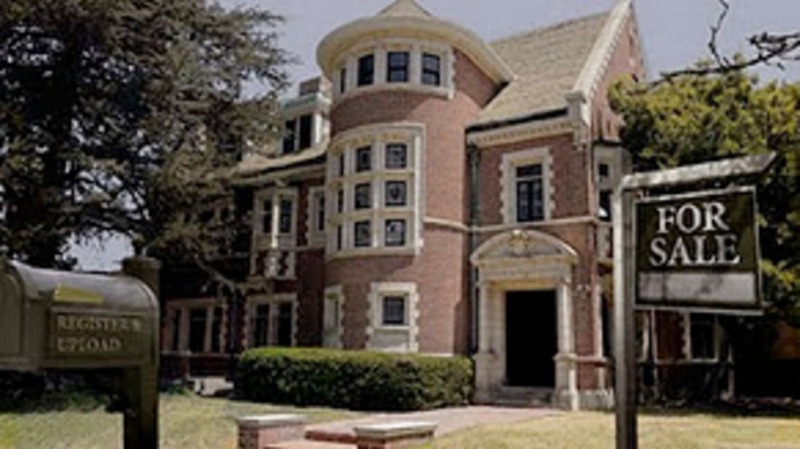 In just a few episodes, it’s been made very clear to the audience that numerous people have been killed and maimed in the haunted house that the show’s main characters live in. It’s been mentioned that the characters’ real estate agent was obligated by law to disclose that people had been murdered in the house. I’ve seen this brought up in other haunted house stories before, but it’s not a consistent trope. It is true, though? Do horror writers ask us to suspend our disbelief about too-broadly drawn characters and the paranormal, but not real estate law? If you’re buying a haunted house, does anyone really have to tell you? The answer is no. And yes. And sort of. It all depends on the where the house is and the way the laws are worded there. There’s an infamous court case often cited when it comes to disclosure law, Stambovsky v. Ackley, that revolves around a haunted house. Helen Ackley owned a big old Victorian home in Nyack, New York. The town sits about 30 miles north of New York City on the west bank of the Hudson River, in an area known for many haunted places, including the legendary Sleepy Hollow. Mrs. Ackley was well aware that her house was supposedly haunted. In fact, she claims to have seen several ghosts herself, including one that gave her approval for a new paint color in the living room and several dressed in colonial-era clothing. She described her home’s ghosts for the local newspaper and Reader's Digest and even got the house featured on a “haunted house” walking tour of Nyack. When she decided to put the house up for sale and retire to Florida, though, Mrs. Ackley suddenly got very shy about the ghosts. The Stambovskys were not exactly thrilled to learn about the alleged haunting of their new home and attempted to back out of the sale. Ackley would neither admit any wrongdoing nor cancel the sale and return the deposit, so the Stambovskys took her to court. They lost the case, with the court citing their caveat emptor (“let the buyer beware”) responsibility to uncover the property’s defects before committing to a sale. They appealed and the Appellate Division of State Supreme Court ruled in their favor in a 3-2 decision. The Stambovskys eventually got their money back and Ackley eventually sold the house despite, or maybe because of, the fact that she had to disclose her supposed ghosts.